Let me start by saying I'm a carb-addict. I never met a scone, cookie, muffin, roll, tart, or biscuit that I didn't love. But I'm also a nutrition nut, and with a 2-year-old to feed, I'm always searching for a little more nutrients in everything I eat (hopefully well hidden). So when I opened up Good to the Grain: Baking with Whole-Grain Flours by Kim Boyce I was cautiously optimistic. Corn, oat, and amaranth flour? Who was Ms. Boyce trying to fool? I won't eat a rock-hard, tasteless scone no matter how healthy it is. 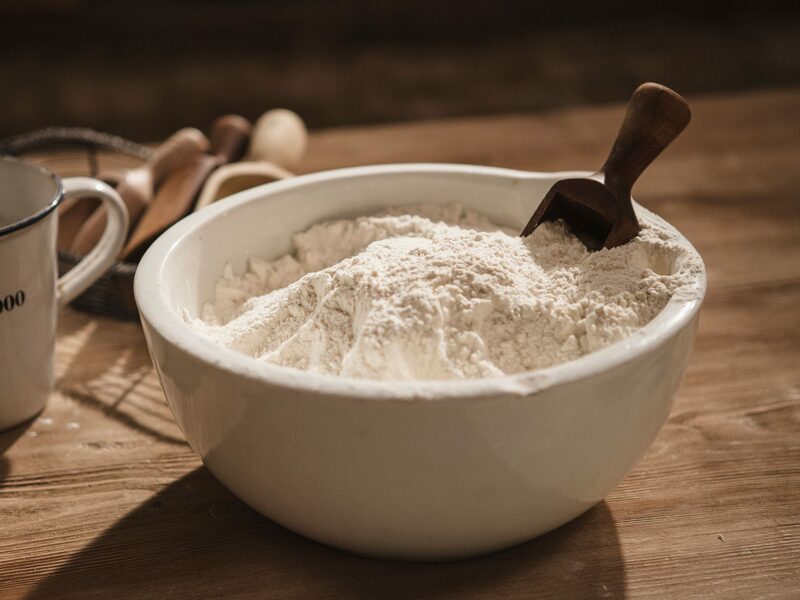 But it turns out that adding these other, healthier flours produces some delicious treats; they have more flavor and are better for you than the average pastry. Some recipes are easy, some are more complex and time-consuming, but you'll definitely find something that suits your cooking level and palate in this collection of 75 recipes. And these days, virtually every specialty grocer carries two if not three or four of these flours, so you won't spend time running around to several stores. Here is Boyce's chewy - and healthier - chocolate chip cookie recipe; it uses 100% whole-wheat flour, which gives it a "distinctive, nutty taste," according to Boyce. See the recipe. Place two racks in the upper and lower thirds of the oven and preheat to 350 degrees F. Line two baking sheets with parchment. Although you can butter the sheets instead, parchment is useful for these cookies because the large chunks of chocolate can stick to the pan. Sift dry ingredients into a large bowl, pouring back into the bowl any bits of grain or other ingredients that may remain in the sifter. Add the butter and the sugars to a bowl of a stand mixer fitted with the paddle attachment. With the mixer on low speed, mix just until the butter and sugars are blended, about 2 minutes. Use a spatula to scrape down the sides of the bowl. Add the eggs one at a time mixing until each is combined. Mix in the vanilla. Add the flour mixture to the bowl and blend on low speed until flour is barely combined, about 30 seconds. Scrape down the sides and bottom of the bowl. Add chocolate all at once to the batter. Mix on low speed until the chocolate is evenly combined. Use a spatula to scrape down the sides of the bowl, then scrape the batter out onto a work surface, and use your hands to fully incorporate all the ingredients. Scoop mounds of dough about 3 tablespoons in size onto the baking sheets, leaving 3 inches between them, or about 6 to a sheet. Bake the cookies for 16 to 20 minutes, rotating the baking sheets halfway through, until the cookies are evenly dark brown. Transfer the cookies, still on the parchment, to the counter to cool, and repeat with the remaining dough. These cookies are best eaten warm from the oven or later that same day. They’ll keep in an airtight container for up to 3 days.